Hey, welcome to Active Weekender! My name is Shawna and I started this site after discovering on a vacation that I really enjoy getting active outside and doing things like hiking. Ever since I’ve been planning my travels around locations where I can get in some good hikes. If you want to know more about me and what led me to start this site, then check out that info down below. My vision for this site is creating a quality resource for beginners and the sometimes outdoorsy person. Since I’m not a super outdoorsy person (you’ll never see me going on a multi-day backcountry camping trip), you won’t find many resources here for advanced level outdoor adventures. That being said, this site does sometimes feature articles by contributors who have more experience than me in some activities. At the end of the day, I just hope that Active Weekender helps you discover your love of hiking (or another outdoor activity). And maybe we can help you out with that next outdoor adventure! Below you’ll find a list of our current and past contributors. 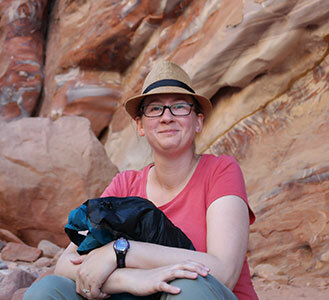 Shawna currently lives in Las Vegas where she gets in lots of great hiking at Red Rock Canyon and Valley of Fire State Park. When she has time, she visits National Parks in a quest to visit each one in the U.S.
Shawna’s favorite outdoors activity is hiking and her favorite National Park (so far) is Badlands National Park in South Dakota. Her must-have piece of gear is a Buff UV headwear since it’s a great multipurpose item for any activity. Jess is a New Zealander who is an avid trail-runner having just completed the Vietnam Mountain Marathon. Jess is also a qualified diver and, at the time of writing for Active Weekender, currently on Koh Samui hiking, kayaking and snorkelling before heading to Japan for the Snow Season. Lori is interested in traveling and adventure sports. When Lori wrote for this site, she was traveling in Latin America. Lori loves trying new things. Some of the active adventures she’s had include surfing, white water rafting, and climbing a volcano in Latin America. Kevin is a U.S.-based freelance writer and editor. He’s also an avid outdoor enthusiast with a bevy of experience in both participating and writing about outdoor activities. Heya! I’m Sarah or many call me Sacky! Some years ago a solo 3 month trip through Asia changed me forever. It stirred the adventurer in me and gave me the confidence to try new things. The desire to accomplish these new tasks became addictive and thus a slight attention deficit approach to participating in outdoor sports was born. A problem arose when I realised that my lifestyle couldn’t incorporate the normal 9-5 so I became a freelance writer! So here I am somewhere between random library desks, mountains and the surf soaking up this opportunity! A guide to rock climbing How to get started and why it’s worth a try. If you’d like to work with us, then learn more about the process here. On a trip to Hawaii a few years ago, I discovered that I not only love being outdoorsy, but I also really enjoy doing active things outside. 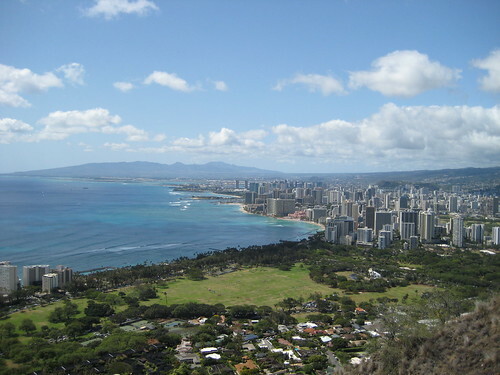 It all started with a hike up to the top of Diamond Head. That trip ended with a much longer and more challenging hike through Waimea Canyon. After that, I became addicted to being as active as possible when time permits, which is normally on weekends. I do a lot of traveling and prefer exploring and hiking around the local area instead of hitting up the touristy spots and spending the day inside a museum. Don’t get me wrong, I enjoy a good science or art museum, but I much prefer being out in the sunshine and taking in cool scenery. I’m partial to mountains and beaches. And the top of my to-do list (currently) is to go hiking in the Dolomites, go hiking in Switzerland, and take in the amazing scenery of Banff. Whether you’ve been out there being active for years or are just dipping your toes in the water, I do hope that you find what you’re looking for here on Active Weekender. And if you’ve done something really cool and want to share it, then contact me for a guest post spot as I’d love to hear about your adventures and share them with the readers of this site. Coffee Addict. Semi-Nomadic. Adventure Time fan. Believer in Karma. Seeker of New Experiences. Traveler.